Finding Joy in the Journey: School is Out! We are in our second week of Summer Vacation! I haven't know whether to jump for joy or hide in my room and cry. Summer is great, but it also presents it's own challenges. 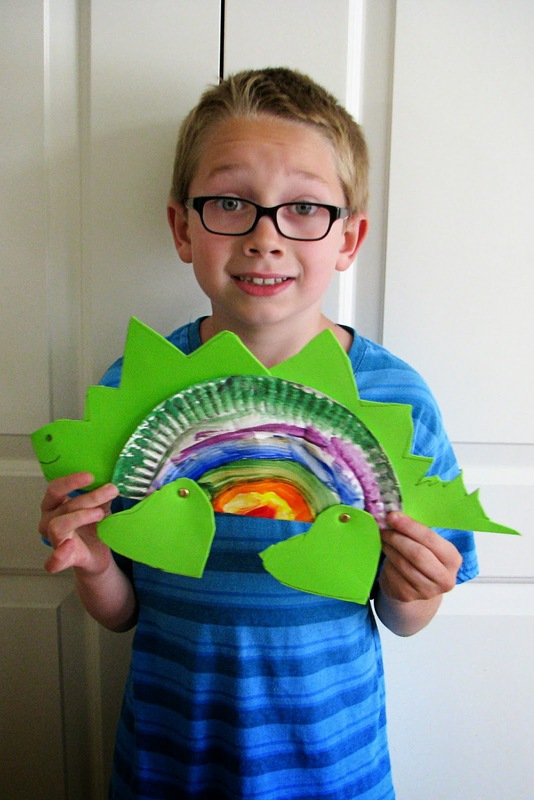 Here is Vance with a cute dinosaur he made at school. 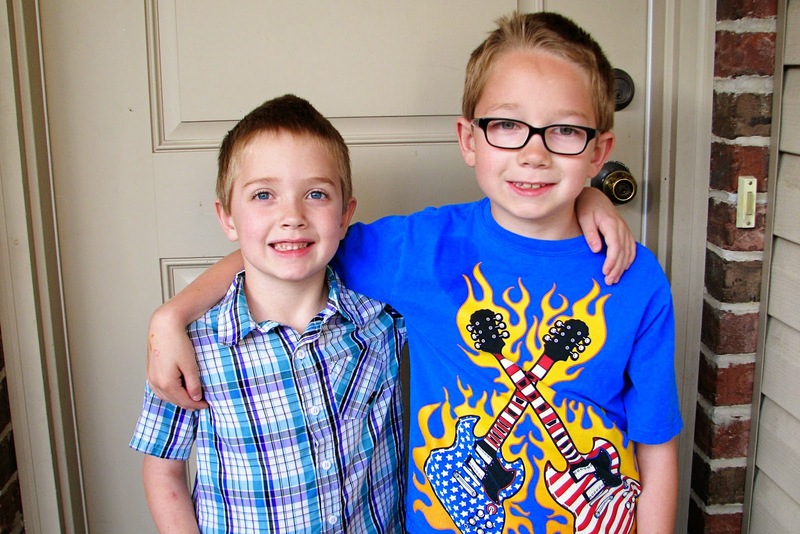 Here are Vance and Tanner on their last day of school. They were happy to be done. I decided to do a Scripture Hero Camp with the boys this Summer. So far it is going alright. I have to break up plenty of fights, but they enjoy the activities I plan and I like the idea of getting more familiar with some awesome people in the scriptures. 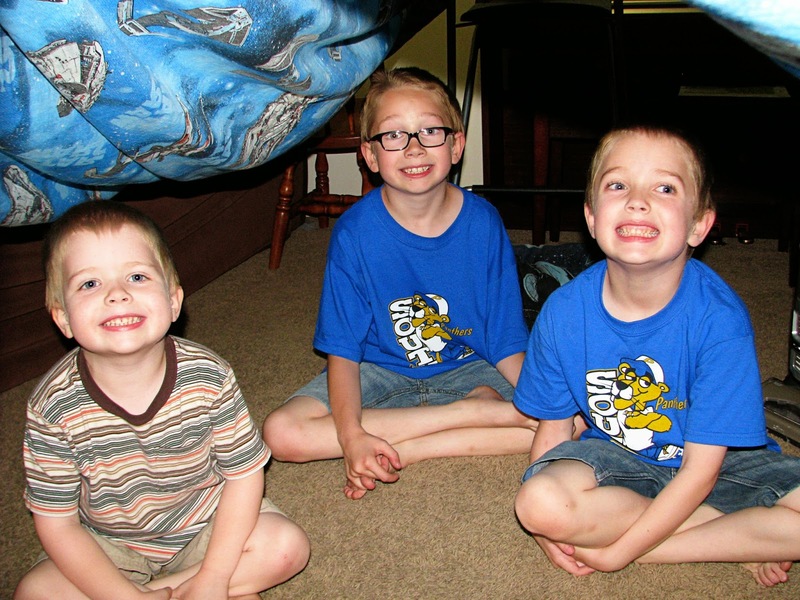 This is a picture of the kids in a tent we made in the living room after we talked about Lehi's family leaving Jerusalem and going to the wilderness. If you want to find out more check out This LDS Mom. Not that I needed another blog, but I wanted a place where I could share my religious related stuff that wasn't as personal as this blog. I didn't really think my preschool blog was the best place to share it, not to mention I will stop posting on that when Porter goes to kindergarten in another year.